We don't celebrate Thanksgiving in the UK, so I'm excited to have a new holiday to celebrate. From what I can gather, it's kinda like Christmas but without the presents. Sounds good :]] As far as I see it, I get a few days off school to hang out with Kait and her family and that sounds good to me!! But I like the idea of a day to be thankful for everything in your life. Like most people I overlook both the big and little things in life. It's easy in today's fast-paced work to ignore the most important things and to take some time to reflect on the fantastic things in your life. It seems that I have a lot of things in my life to be thankful for!! My dad had never left the UK (okay, he'd been to Ireland...) until he was eighteen. By the time I was eighteen I'd been to dozens of places across the world, and now, at only twenty years old, I'm living in another country across the world from home. I have the opportunity for an education. I have had the chance to study for a degree. I have had to opportunity to take classes that I find interesting and that I enjoy. I have been given the help of my teachers and the support of my parents to follow my dreams. And that is something worth being thankful for. I am a self-deprecating Brit- I am not one to blow my own trumpet, but I do work hard. I work hard in school to get good grades, and I work hard with my writing and my blog to gain opportunities that will hopefully help with my future. Writing this blog has opened dozens of doors for me and allowed me experiences I wouldn't have had otherwise. I am thankful for everything I have worked hard to achieve. It makes the hard work worth it. So far, I think I'm doing pretty well being 4000 miles from home. But I could not have done it without Skype. Such a simple little invention, but so genius. I can call my parents and see them sitting in my living room and it's like I'm there. I can call my friends at home and speak to them as I would face to face. I can't imagine how anyone coped away from home before this amazing creation. I don't appreciate my family as much as I should. I am an only child from a huuuuge Irish Catholic family, which gives me the best of both worlds. I get the small, close family, but also the big extended family. My family are incredibly close and incredibly supportive. My parents have always encouraged me to work hard, and while I haven't always agreed with the way they've pushed me, I have them to thank for the person I am today. I've managed to remain as close to them now as when I was a little girl, but independent enough to move to another country and live my own life. They've supported me so much while I've been here. And I don't thank them enough for this. And good genes- thanks for those too!! I love my extended family to bits too. There's nothing quite like having a huge family. I love having so many cousins and aunties and uncles- we all get on like a house on fire and I've grown up with all my cousins. And then there's my mum's mum- possibly one of my favourite person in the world. She never fails to inspire me. I am truly blessed when it comes to my friends. From the girls at home I've been friends with since I was a teenager to my uni friends who never fail to make me laugh. I am so lucky with all my friends to find so many people who just truly get me. I am so lucky to have so many friends who I care about and who care about me. And my new friends here in America. I can't wait for the future of our friendship. Bit of a daft one, perhaps, but I love that I can look over at my wall, at the hundreds of photographs and feel overwhelming happiness for all the memories I have. All the fantastic people in my life. And the physical documentation of my experiences. Of course, I have been lucky. I have (touch wood) never been very ill, and I am lucky to still have so many of my extended family still in this world. 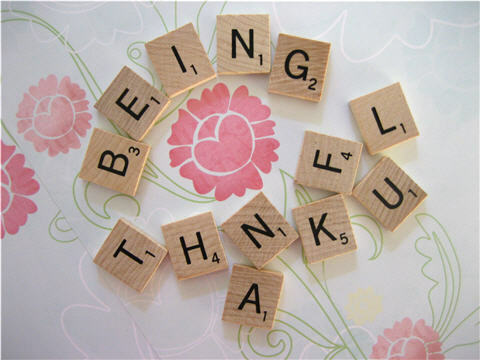 I am thankful for the health of myself and my friends and family around me. I know as a family we are lucky. I hope the future for me is as bright as I'd like it to be. I'm excited to see what it will bring, the expected and the unexpected. I've worked hard the past few years and I just hope it pays off. I hope to have the future I've been dreaming about. Sometimes it's the little things that really make a difference. Sometimes things done without intention. Today, I left my washing in the machine to clean while I went to class, and when I got back a girl had moved my washing into the drier, so when I arrived it was all dry. Sometimes it's just someone helping you out, or opening a door for you. But sometimes it can make your day. I hope to be a kind stranger to others. I'm thankful for the things that get me through the day. I'm thankful for the fact I can wake up smiling, that I don't really have anything to worry about (but I always find something to worry about!!). I'm thankful for my past and my present and what the future will bring. I'm thankful for the little things that make me smile. My next post will be more of a focus on those little things that brighten up my day and make everything easier and better. This is lovely :'). Thanksgivings day is a good holiday for stepping back and looking at everything you have.